Michelle Wade Smeltzer, 52, of Jasper passed away on Feb. 28, 2019 at her home surrounded by her family. Michelle was born on Sept. 19, 1966 in Haleyville. She was a member of Meek Baptist Church for 28 years. 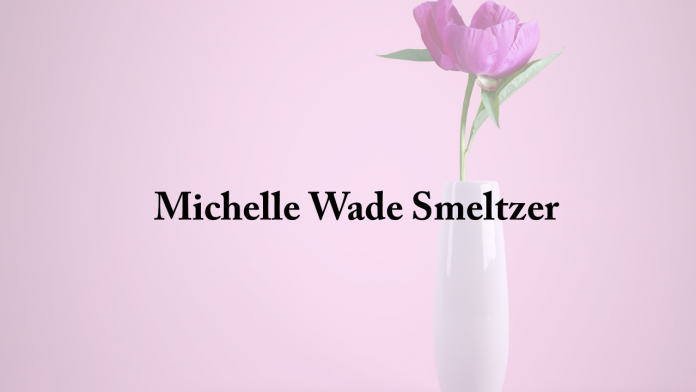 Michelle graduated from Winston County High School in 1984 and went on to graduate from Athens State University with a bachelor’s degree and the University of West Alabama with her master’s degree. She taught school for over 20 years at Meek Elementary School and Meek High School, and also served as the librarian. Michelle sponsored the scholars' bowl and was part of many school activities including Book Club, Color Guard, and the Veterans Program. She was a lifelong bookworm who enjoyed traveling and shopping. Visitation will be held on Saturday from 12:30-3 p.m. at Nichols Funeral Home in Addison where services will be held at 3 p.m. Brother Steve Thomas will officiate. Burial will be at Fairview Baptist Church Cemetery in Double Springs. She is survived by her husband, James P. Smeltzer; mother, Jane Nellene Wolfe Wade; sons, Joshua Don Price and his wife Alivia and Jacob Wade Price; brothers, Dale Wade and Michael Wade and his wife Kelly; sisters, Jayne Hunter and her husband Terry and Gloria Nielson and her husband Aron. She was preceded in death by her father, Edsel Ford Wade.